Our educational system has evolved to the point where parents have a lot of choice as to how their child will be educated. First, you have formal, traditional schooling in the form of public and private schools, each with their own financial, social, and educational pros and cons. Then you have homeschooling, which allows parents to have an extreme amount of control over their child’s education and development. However, the advent of the Internet – and its constant encroachment into fields and industries that previously had little to do with telecommunications – has offered up a third option: cyber schooling. Our economy is moving towards a “freelance” economy, and your children will soon grow up in a world where the web and advancements in telecommunications have made the “schedule” a thing of the past. The ability to treat time as fluid, and to bring work with you wherever you go and work on it whenever you please, is a skill that every worker will be expected to have in the future. With cyber schooling, your child will be ahead of the curve, as you are able to mold your child’s educational schedule around the unique demands your family and home make on his or her time. With cyber schooling, your schedule is whatever you say it is! Mobile devices have rendered distance irrelevant as far as professional life is concerned; why should education be any different? Cyber schools will allow your student to take their education on the road, whether they’re at a friend’s, traveling abroad, or simply on an errand, they can attend to their educational duties without having to go to a campus or go back home. They are always learning – which is what the ideal student does! The unique teaching style that cyber schools support allow for an incredible amount of customization for the form and content of your child’s education. Your child’s teachers will more easily be able to differentiate for your child’s needs, strengths, and areas for improvement, and respond more quickly. Because classroom management and other behavioral issues that plague so many educational institutions are not an issue with cyber schools, your child’s teacher can focus on what is really important: helping their students reach their full potential. As was previously mentioned, the technology used in cyber schooling – from the web to mobile hardware – is becoming increasingly common in the professional world. 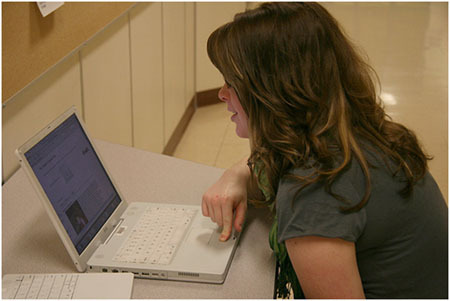 Cyber school students enter college and the work force with a leg up on other students, as they are already intimately familiar with how technology can be integrated into their work environment to create a faster, more efficient, more communicative, and more productive way of doing things. After cyber school, your child becomes an innovator on the cutting edge of how things are done. At public and private educational institutions where your child must physically attend, bullying can be a problem – even at the most vigilant of schools. At a cyber school, no bully can get between your child and their education. It can be a little scary to do things differently, but rest assured that the teachers who will be educating your child are trained professionals with as much experience – if not more – in education as the teachers in traditional schools. What’s more, even as your child is receiving the comprehensive education that you would expect from professional educators, you will still have the opportunity to be deeply involved in their education in a way that previously only homeschooling parents experienced. Every student responds differently to different types of educational environments, but if your child is comfortable at home and responds well to education professionals, then it may have seemed impossible to find the right balance for him or her – until you found cyber schooling. You can get into contact with 21st Century Cyber Charter School today, and even travel to their headquarters to meet the teachers and staff personally if you so desire. Even after your child has begun their education, you can remain in constant contact with the education professionals there, helping your child to grow into the adult that will face the challenges of the 21st century, ready for anything.